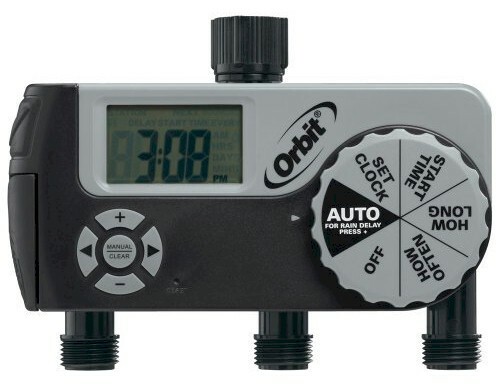 The Orbit 3-Port Hose Tap Timer waters up to three different zones and features three programmable valves. A rain delay is built into the run program function. A manual button allows program interruption. Over sized features for ease of use. Settings for every 6 hrs, 12 hours or from 1 to 7 days using the + or - buttons. 1 is for every day, 2 for every other day etc., to 7 days. Requires two AA alkaline batteries (not included). 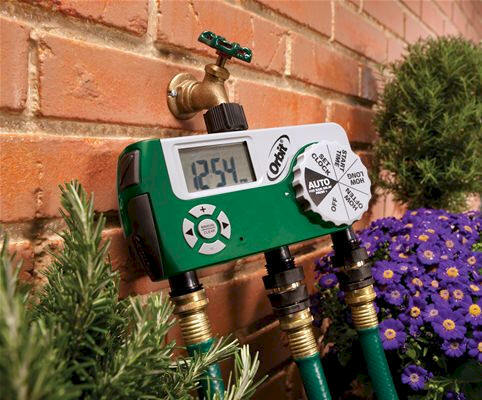 The unique diaphragm valve design extends battery life.